As beauty editors, we get bombarded with a ton of new products every day (we know—tough life). Reviewed is a series where we report on some of the best products we’ve tried. Whether it’s a drugstore lipstick that lasted all day or a hand cream that saved us this winter, you’ll find all our favorites in this column. Enjoy! My poor skin has been so problematic lately. Recently, I’ve been experiencing serious breakouts around my hairline and forehead from a pomade that shall remain nameless. It was seeping into my pores, causing unwanted whiteheads that left me with unsightly acne scars. Also, life has been coming at me hard, you know? Cue the usual things that freak skin out: stress, not getting enough sleep, and a trip to my hometown full of fatty foods. In short, my skin was paying for it and needed a serious reboot. So, I did what I know works best with the fastest results: a clay mask. 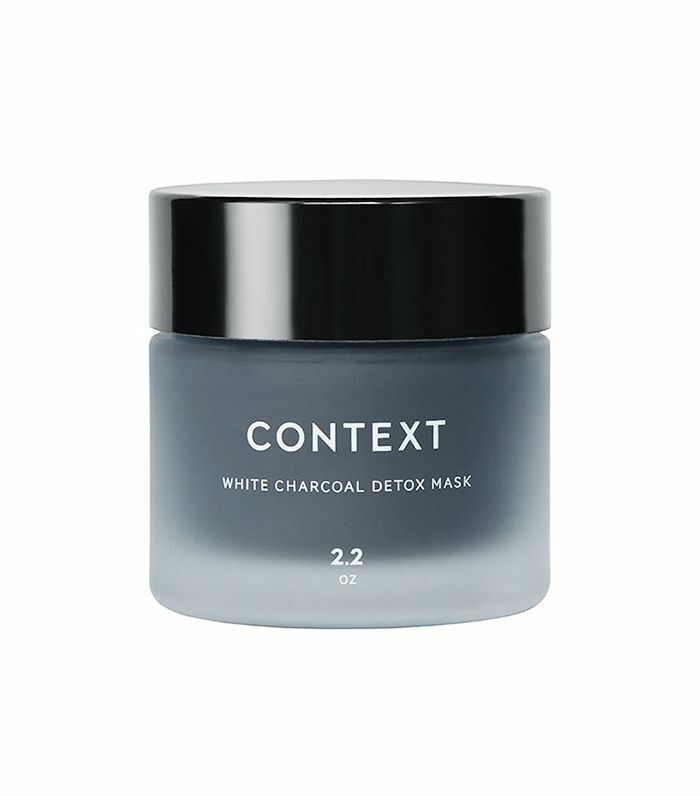 This is where Context’s new White Charcoal Detox Mask comes in. Let me preface this by being upfront and admitting that I am a mask addict. I mask about three to four times a week even on my most tired days. It’s my “me” time, and nothing helps me unwind better than masking. With that being said, I’ve tried a lot of masks, and I am not easy to please. I have my all-time favorite masks in constant rotation, but I do like to switch it up every now and then (see below for a photo of my mask shelf, showcasing a small portion of my overwhelming collection). When this white charcoal mask came across my desk, I was immediately intrigued by the ingredients. I have sensitive skin, so I’m naturally drawn to anything paraben- and sulfate-free. 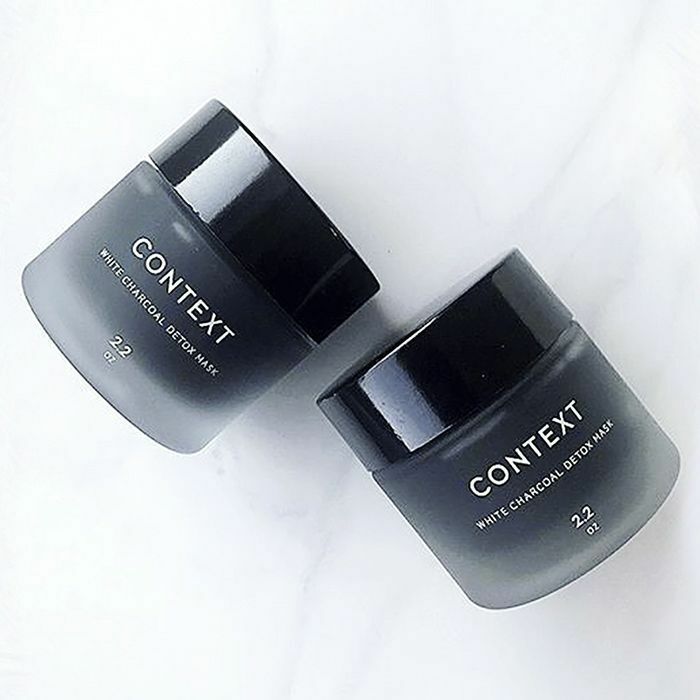 The mask contains binchotan white charcoal, kaolin clay, and sea salt, which have deep penetrating properties that work to exfoliate, hydrate, and clean out clogged pores. With the state my skin was in, this sounded like it was made for me (and it is). After cleansing my skin, I left my face slightly damp and used a brush to lather this on. Applying a mask with a brush is a little secret I’ve sworn by for years because it saves so much product. As soon as it touched my skin, I felt this gentle warming sensation. It was a pleasant surprise because I’d never experienced a warming clay mask before—they usually have the opposite effect. The gel texture is thick, but it feels surprisingly light on the skin. Not to mention the faint scent of citrus that smells like the tropics. It was a personal spa night for me, so I proceeded to run my bath water and apply my favorite lip scrub of the moment, MAC Lip Scrubtious ($17). The directions suggest leaving this on for seven to 10 minutes, but I kept it on for a little longer so my skin would fully absorb the product. You know how clay masks normally feel like it’s intensely sucking the life out of your skin? Then, your pores feel all tight and dry afterward? I could feel this mask doing its thing without those uncomfortable aftereffects. When I decided enough time had passed, I washed off the remnants with warm water and my dull skin looked noticeably brighter. The best part is that it left my face feeling as smooth as my favorite silk pillow, and the softness lasted until the next day. No lie, the next morning my acne scars didn’t look as prominent, and my hyperpigmentation has continued to fade as I use this more often. This hero mask is the new star of my skincare routine, and I’ll be shouting its praises through the roof until everyone gets to experience its magic. Have you recently tried a face mask you're obsessed with? Drop us names in the comments.